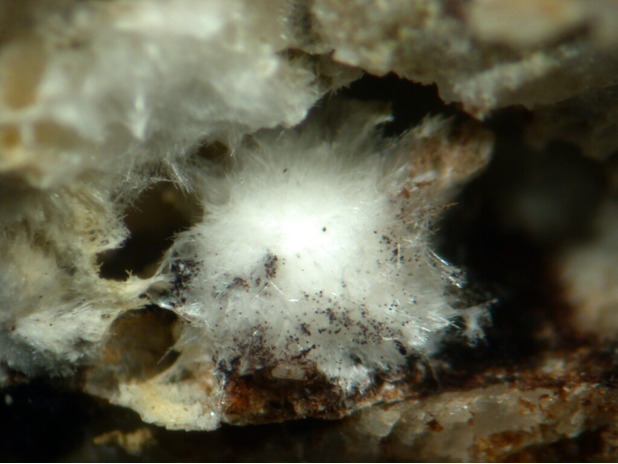 Kayrobertsonite: Mineral information, data and localities. Named in honor of Kay Robertson (born Gabriella Katherine Loewi) (b. 23 April 1920, Venice, Italy) of Los Angeles, California, USA, a well known collector, especially of German localities, since the 1950s. 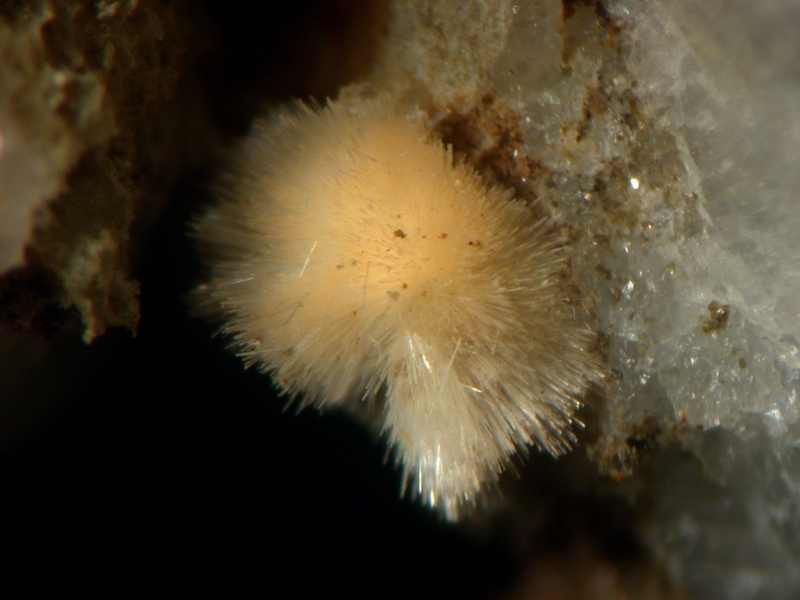 She was a founding member of the Southern California Micromineralogists Society. The OH analogue of nordgauite. Structural topology similar to that of nordgauite, but with double amount of water molecules in the  channels. 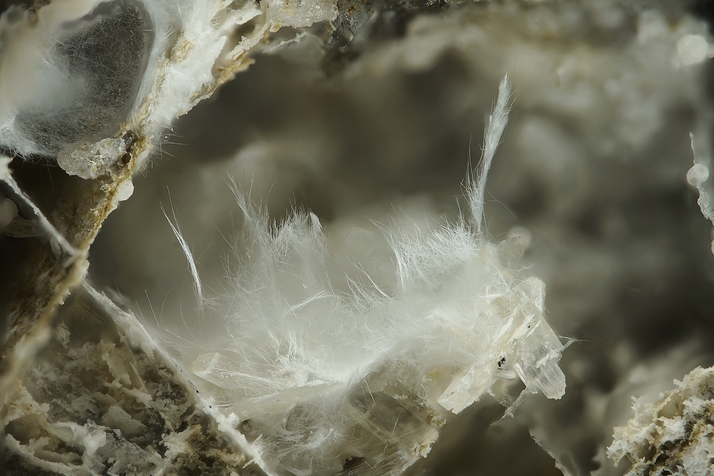 Mills, S.J., Grey, I.E., Kampf, A.R., Birch, W.D., MacRae, C.M., Smith, J.B., Keck, E. (2016) Kayrobertsonite, MnAl2(PO4)2(OH)2·6H2O, a new phosphate mineral related to nordgauite. European Journal of Mineralogy: 28: 649-654. Mills, S.J., Grey, I.E., Kampf, A.R., Birch, W.D., MacRae, C.M., Smith, J.B. and Keck, E. (2015) Kayrobertsonite, IMA 2015- 029. CNMNC Newsletter No. 26, August 2015, page 944. Mineralogical Magazine: 79: 941-947. Mills, S.J., Grey, I.E., Kampf, A.R., Birch, W.D., MacRae, C.M., Smith, J.B. and Keck, E. (2015) Kayrobertsonite, IMA 2015- 029. CNMNC Newsletter No. 26, August 2015, page 944; Mineralogical Magazine, 79, 941-947: Mills, S.J., Grey, I.E., Kampf, A.R., Birch, W.D., MacRae, C.M., Smith, J.B., Keck, E. (2016): Kayrobertsonite, MnAl2(PO4)2(OH)2·6H2O, a new phosphate mineral related to nordgauite. European Journal of Mineralogy, 28, 649-654. Mills, S.J., Grey, I.E., Kampf, A.R., Birch, W.D., MacRae, C.M., Smith, J.B. and Keck, E. (2015) Kayrobertsonite, IMA 2015- 029. CNMNC Newsletter No. 26, August 2015, page 944; Mineralogical Magazine, 79, 941-947.;Mills, S.J., Grey, I.E., Kampf, A.R., Birch, W.D., MacRae, C.M., Smith, J.B., Keck, E. (2016): Kayrobertsonite, MnAl2(PO4)2(OH)2·6H2O, a new phosphate mineral related to nordgauite. European Journal of Mineralogy, 28, 649-654.